Newark – Acting Essex County Prosecutor Carolyn A. Murray and Newark Public Safety Director Anthony F. Ambrose announced today that Jeremy Arrington, 26, of Newark has been charged in a triple homicide in which a young college student, who was visiting the family, and two children were fatally stabbed. Arrington, who is in custody, has been charged with three counts of murder, three counts of attempted murder, criminal restraint, unlawful possession of a handgun, unlawful possession of a knife, and possession of a handgun and a knife for an unlawful purpose. 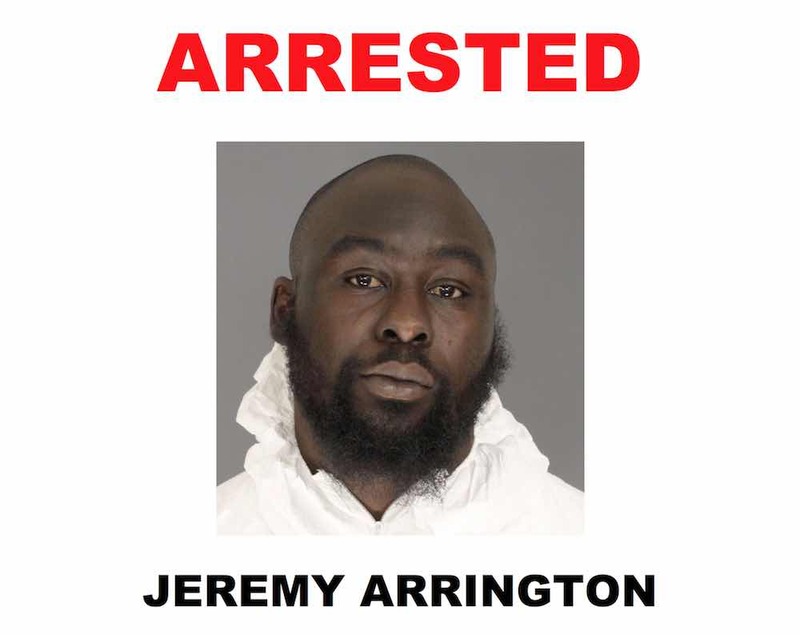 It is alleged that on Saturday afternoon Arrington went to a home in the 100 block of Hedden Terrace in Newark and fatally stabbed three individuals. There were a total of nine people in the home at the time – four adults and five children. Arrington was known to the family. After the attack Arrington fled. Shortly before 8 p. m., on Sunday, Nov. 6, Arrington was discovered barricaded in a residence in the 200 block of Pomona Avenue. Just after 9 p.m., Arrington was arrested without incident. The arrest was carried out by the U.S. Marshals Fugitive Task Force, the Essex County Prosecutor’s Office and the Newark Police Department. Arrington is currently being held at the Essex County Correctional Facility in Newark on $5million bail set by the Honorable Russell Passamano, Judge of the Superior Court. Arrington is scheduled to make his first court appearance on Thursday, Nov. 10 before the Honorable Ronald Wigler, Criminal Division Presiding Judge. The two children were pronounced dead at University Hospital at 4:40 p.m. and McBurroughs was pronounced dead at the scene. Three other victims, a 29-year-old female, a 13-year-old male and a 13-year-old female, who are twins, remain hospitalized in critical, but stable condition. The investigation is active and ongoing. It is being investigated by the Essex County Prosecutor’s Major Crimes Task Force, which includes detectives from the Newark Police Department. Anyone with information is asked to call the Prosecutor’s tips line at 1-877-TIPS-4EC or (877) 847-7432. Acting Prosecutor Murray commended the US Marshals Fugitives Task Force, Newark Police and the detectives in the Essex County Prosecutor’s Office for their outstanding work in investigating the case and making a prompt arrest of the suspect.